Wall,Cricket Practice Nets,Golf Putting,Pedestrian Pathway,Children’s Play Area,Skating Rink,Basket Ball Practice Court,Water Body,Elder’s Plaza,Entrance Water Feature,Stepped Plantation,Exquisite Landscaping,Elevated Landscape Bridge,Outdoor Auditorium,Mini Theatre,Multipurpose Hall and many more. Whitefield is known for IT corridor where so many multi national companies are placed. This Location is close to many international schools like TISB, Inventure Academy, Greenwood High, Oakridge, Global Indian, Chrysalis High, Chistiya International, Deens Academy, Gear International, New Horizon Gurukul, Indus International School etc. Swimming Pool,Jogging Track,Sculpture Court,Entry Plaza,Tennis Court,Climbing Wall,Cricket Practice Nets,Golf Putting,Pedestrian Pathway,Children’s Play Area,Skating Rink,Basket Ball Practice Court,Water Body,Elder’s Plaza,Entrance Water Feature,Stepped Plantation,Exquisite Landscaping,Elevated Landscape Bridge,Outdoor Auditorium, Mini Theatre,Multipurpose Hall,Gymnasium With Steam & Sauna,Library,Games Room,Squash Court,Badminton Court,Virtual Games,Infinity Pool At Third Floor,Coffee Lounge,Children’s Play Area,Billiards Room,Table Tennis Room,Dine Out Lounge,Hang Out Lounge,Elevated Lounge. Building aesthetic & graphics on brochure and video presentation looks good w.r.t. 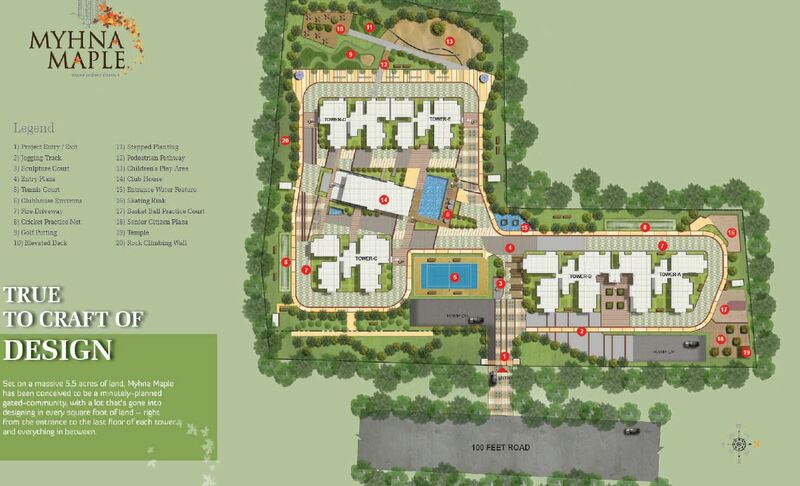 amenities , 85% open space but if you reach the site open space looks smaller than the Site Layout on the brochure . It doesn’t look like 85% open space . Along with Flat Dimensions , they should also provide site dimensions so that one can have rough idea of open space . For 27 Floors building , open space looks very less as 532 families at least 1200 people are getting very less space than shown on the brochure . PLC ( preference location charges ) is Rs 100 for all east facing flats even if it no swimming pool or amenities view flats …surprising . Builder has made only one significant size building i.e. Myhna Heights . Price looks at higher side with a not so known builder when the possession is in 2021 i.e. after 4 years . 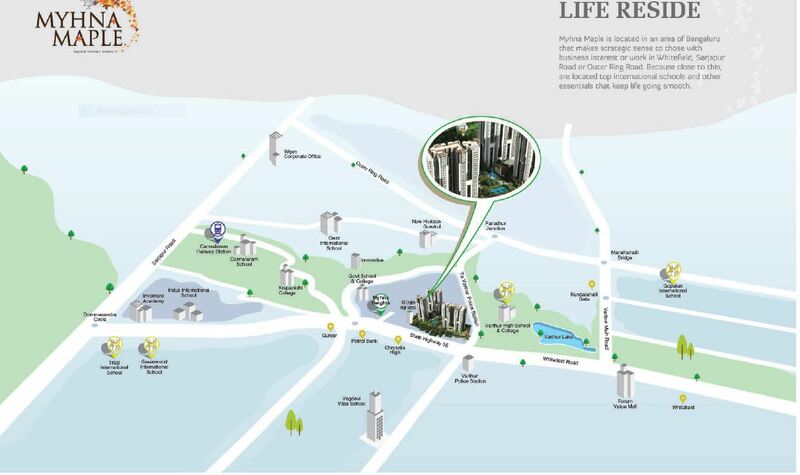 At the moment 3 BHK ( 1665 sqft ) will cost you around Rs 85 Lakh + Registration charges + Sinking Fund + Legal Charges etc . Construction quality, building structure and construction pace look ok so far , but you need to wait for 4 more years to get the actual product.